This .223 Wylde 16” Ultra-Match 416R Stainless Spiral Fluted Heavy Barrel From ELD Performance This Barrel Will Shoot Well Under 1” @ 100 Yards. 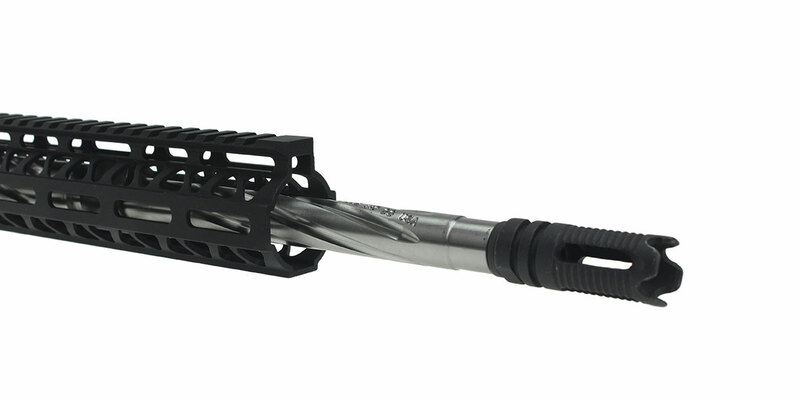 Spiral Fluted Greatly Improves The Rigidity Of This Barrel Minimizing The Effect That Barrel Harmonics Has On Accuracy. 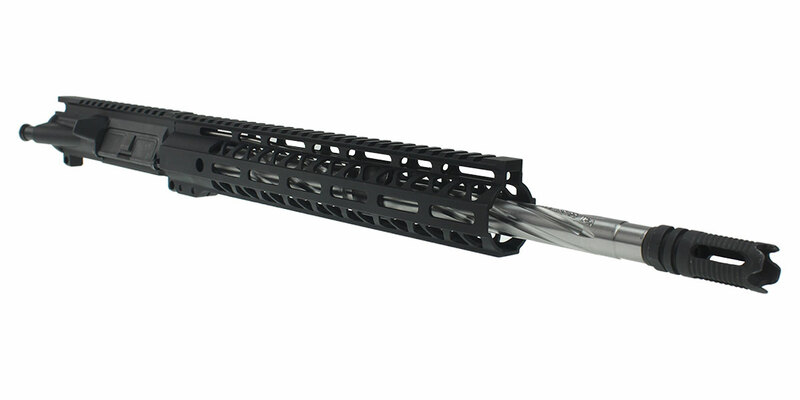 This Build Includes A Lakota Ops “Cobra” 12” Key-Mod Ultra-Lite 6061 T6 Aluminum Triangle Cuts Handguard w/ Steel Barrel Nut. 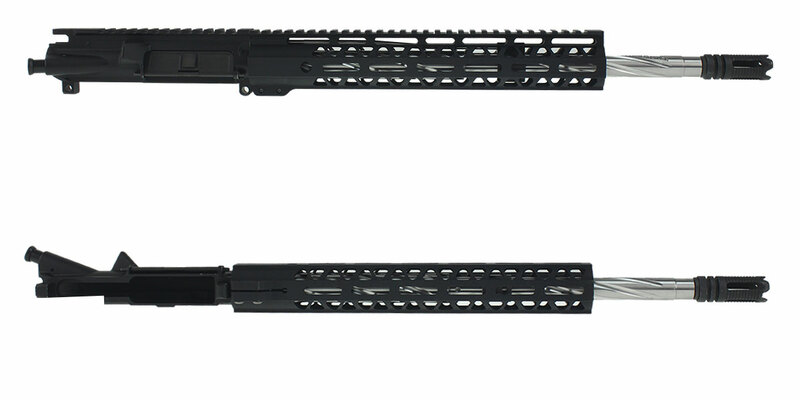 100% Made In The USA Allowing Detachable Picatinny Rails Allows You To Comfortably Grip The Pistol In A Variety Of Shooting Positions & Still Securely Mount Accessories. 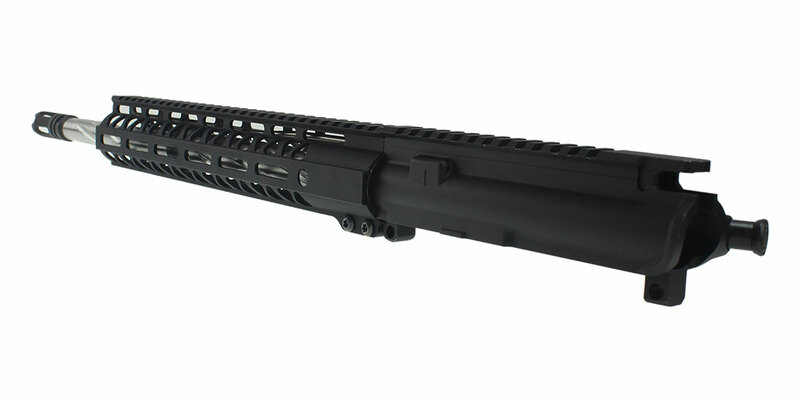 This Build Features A Muzzle Device From KAK Industries. This Muzzle Device Features 4 Port Vents To Help Thrust The Flash Forward And Away From The Shooter. This Device Is Meant To Be Used To Hide The Location Of A Shooter In Low Light Or Nighttime Situations; There Is No Other Added Benefit Such As A Brake Or Compensator.